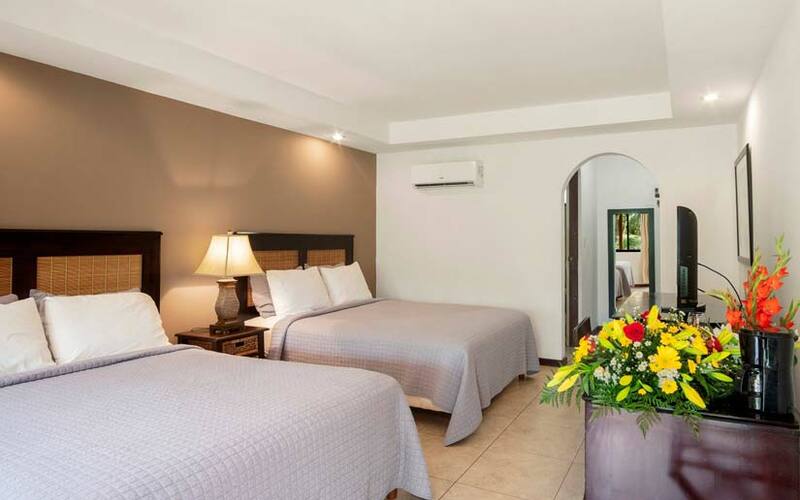 Hotel Arco Iris is a Boutique Luxury hotel located 500 yards from the beach, shops and restaurants/bars. 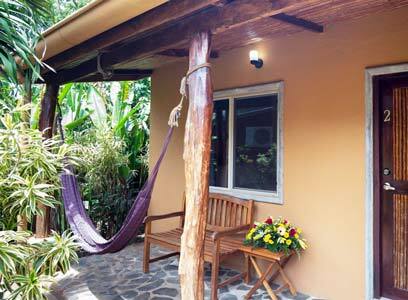 The hotel has five bungalows and eight deluxe rooms, which are surrounded by lush tropical gardens, where howler monkeys can often be seen swinging thru our indigenous trees. 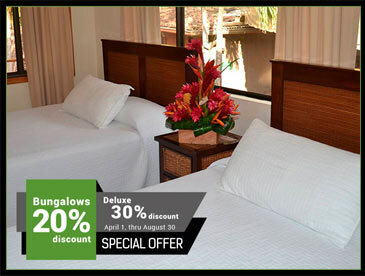 Set back from the street, Hotel Arco Iris assures guests a quiet and tranquil experience. Spend your day relaxing at our pool or on your patio, reading a novel, take a short walk to town and browse thru the local shops or have lunch at one of several restaurants on the beach. We offer a full concierge service. 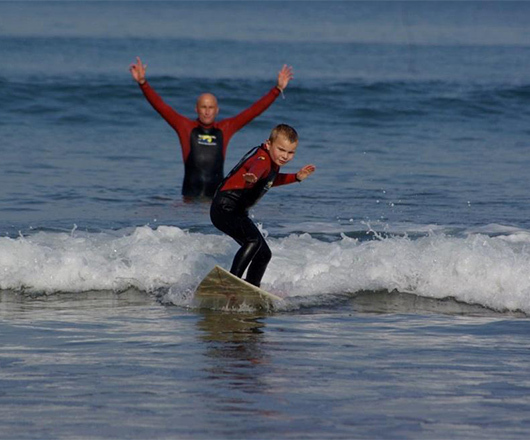 We have many years of experience booking tours and know the best tours that are available. Find the perfect beach, see an authentic pottery village, take an exhilarating zipline tour or eat the best local cusine. Have a cocktail and relax in the evening by our pool or enjoy innovative fresh local cuisine in our romantic poolside dining at our gourmet Mediterranean restaurant Seasons. Chef Shlomy Koren, trained at Cordon Blue in Paris uses fresh and local ingridents to prepare innovative cuisine. 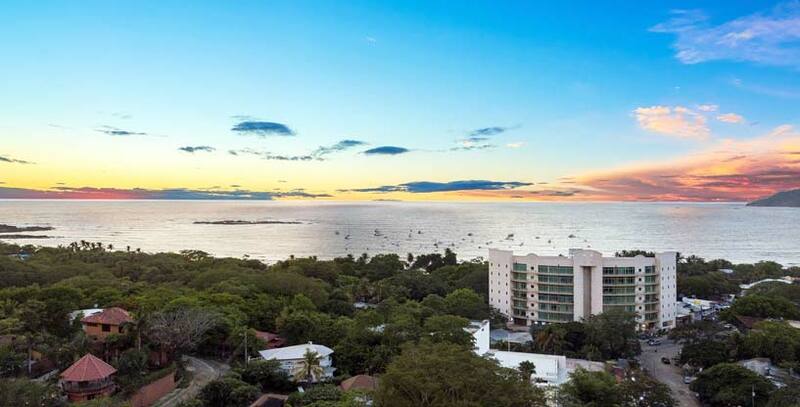 Arco Iris has been transformed into a luxury, boutique hotel, while maintaining its original style, reflective of a Costa Rican tropical beach hotel. 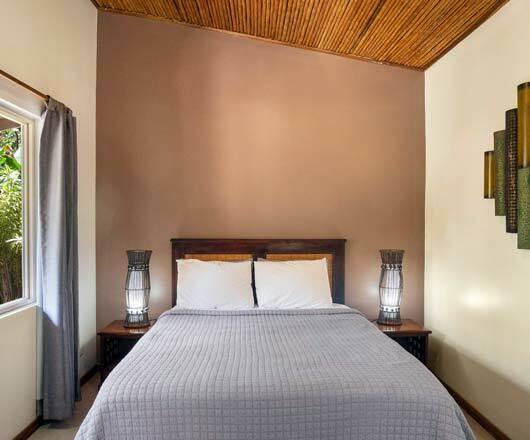 The rooms have been re-designed and offer guests comfortable and architecturally stimulating interiors. Bathrooms are luxurious with contemporary sinks and showers. 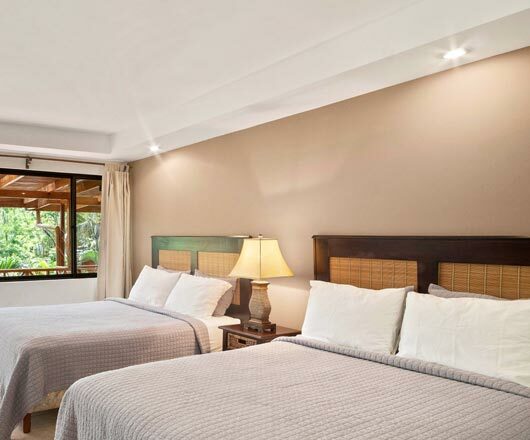 Whether you are looking for relaxation or adventure we are here to make your stay with us the vacation you have always dreamed of but perhaps never found. 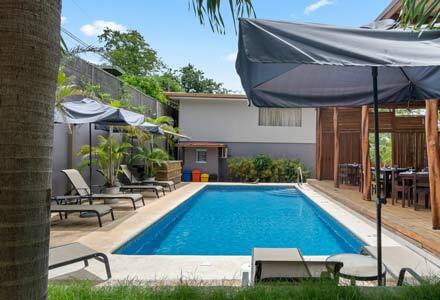 Tamarindo has a great beach which is a short walk from our hotel. There are many other excellent beaches some with services and some where you will be the only people on the beach. Tamarindo has a wide variety of activities including surfing, ziplining, fishing, ATV's, horses, snorkeling cruises and boat tours of the National Park. 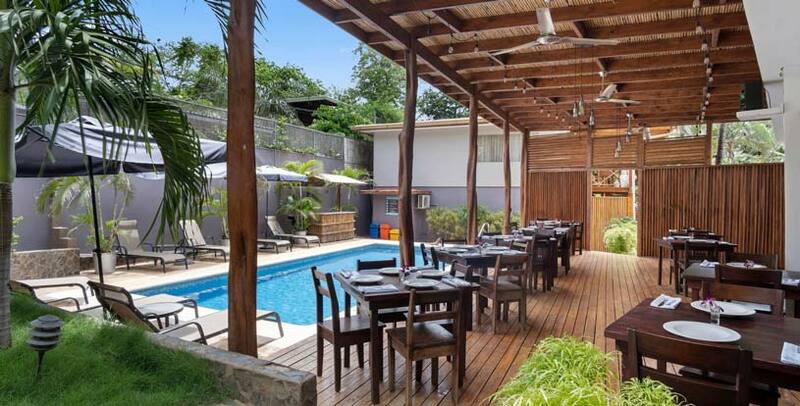 In the evening visitors in Tamarindo have many dining choices offering a variety of local and international cuisines. 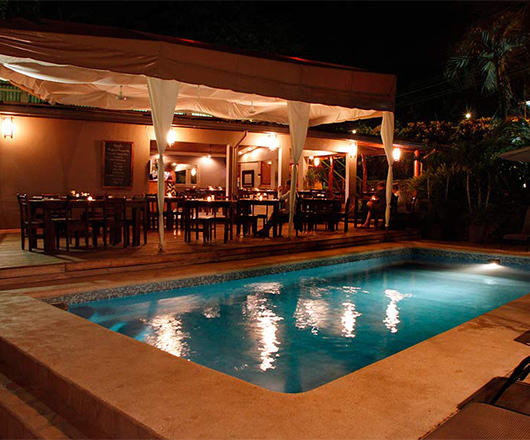 After dinner Tamarindo offers many choices for nightlife, from salsa dancing to rock and roll that offer travelers of all ages the enjoyment they had hoped to find.